If you find yourself in a strict work environment like schools, companies and even colleges, then you know that the access to various sites is restricted on the local network or Wi-Fi. This means there are no blocked sites per se, are there is no way to unblock sites unless you are an admin. It”s just that schools, colleges, and specific business block your IP from accessing specific websites such as social networking sites, streaming sites, and music sites. There is a way to hide your IP address or create a virtual private network (VPN) though. However, manipulating your IP address and VPN just takes time and effort. One way around this is to use a free proxy server, via a website. However, in most cases, these proxy websites will also be blocked. And proxy sites are often unreliable or make your computer run slowly. Because these proxy sites are confined in a web browser session, they are often dubbed as unintelligent. This list of unblocked music sites presents many alternative free music websites you could try. So if ever you’re feeling bored during a free period, you can just access these free unblocked music sites at school. This is often the easiest way to stream music at school, or at work. You will have to go by trial and error to find a free unblocked music streaming website, unfortunately. Using these unblocked music websites, you can play free music at work or in college, even if your access is restricted on certain music websites. Without further ado, here are 17 unblocked music sites for your perusal at work or college. Slacker is one of the top unblocked music sites based on its large collection of music. The site has millions of songs across over 300 expertly-curated music stations. It features a wide variety of genres from Pop to Classical and Electronic among many others. It’s available on all major platforms including Linux and BlackBerry. All you need to do access to its vast library of music, both old and new tracks, is to create an account. Custom station. You can create your own music playlist in the form of a radio station. More than music. Slacker even features news and sports radio channels in case you want something more informative to listen to. Evolve your tastes. If you are actively liking and skipping songs, then the better Slacker will be in recommending new music that suits your tastes or provides something new that you might like. Slacker’s standard version is free but comes with ads. However, their subscription-based premium service comes at a minimal cost per month and features more stations and songs on demand without any ads. Unfortunately, Slacker Radio is only available in the US and Canada. 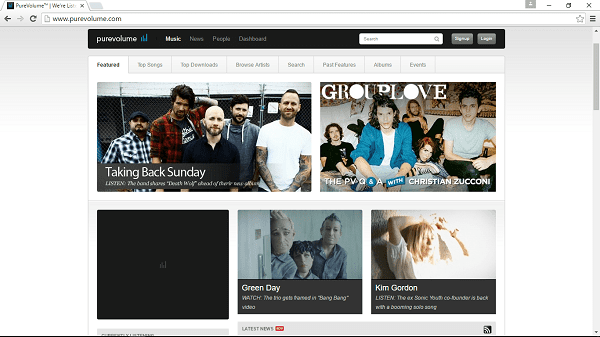 PureVolume is unique among unblocked music sites. Although it has a vast library of songs from every genre, PureVolume encourages the discovery and promotion of new music and emerging artists. PureVolume is a web-based app available on any platform. It doesn’t have a dedicated app for mobile devices. Its focus on indie music and particular niche audience have allowed PureVolume to become one of the best-unblocked music sites, just an account away. Social music site. Allows users to create profiles and interact with their favorite artists. Music streaming and news. While you listen to your favorite indie songs you can even check the most important news coming out of the music industry directly on the site. Browse and personalize. Users have a lot of filters to choose from when trying to find their next favorite artist. They are even able to follow the activity of artists on the site and share their music. Click Here for Amazon Prime Music 30-days FREE Trial! Because PureVolume targets new talent in the music industry, the price of the music available on their website is left entirely up to the artists. They have the option to share their songs for free or not. But since most up and coming artists just want to get more popular before getting rich, most of the unblocked music streaming is free for you to listen to and even download. 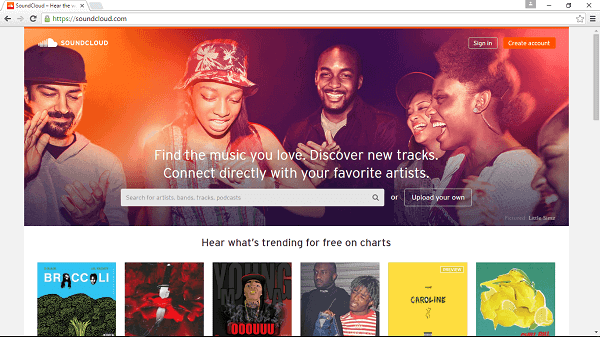 SoundCloud is one of the best-unblocked music sites you’ll find due to its vast library of music genres and features. How great is that! Imagine this- not just unblocked music at school but with a wide selection of great music at that! It is available on all major desktop platforms, but only on Android and iOS for mobile devices. SoundCloud has a user-friendly, custom playlists alongside many filter options to find the music you want, coupled with some social media aspects. You can share your music as well as discover what your friends are listening to. You need an account to access your favorite music, even on restricted connections. Upload your own. SoundCloud allows users to upload, record, and share their own original music. SoundCloud Pulse Brings creator tools to mobile devices that track the stats of your music. Premier account. Original content creators can monetize the traffic of their songs. This feature is only available in the US. The free version of the app only allows up to three hours of audio upload and offers basic stats. SoundCloud has two more service plans. SoundCloud Pro has up to six hours of upload or SoundCloud Pro Unlimited with unlimited uploads and improved stat tracking. You can check the current prices on the site. Previously known as Grooveshark, before it ran into some licensing issues, GrooveMp3 features a large library of music from a limited selection of genres. On the plus side, GrooveShark was starting to become so popular, it was likely blocked in most places. Now, GrooveMp3 once again joins the list of unblocked music sitesIt includes the most popular genres and the newest releases. We doubt that it will appeal to people with more specific tastes as it features mostly mainstream music. GrooveMp3 is available on all desktop platforms, as a web app. Unfortunately, it’s only available for Android mobile devices. Register to discover its entire collection of music and features. Newest Releases. GrooveMp3 features even the most recent song releases. Custom Playlists. Create, share, and personalize your playlists with your favorite music. No Subscription. GrooveMp3 allows you to enjoy as much free music as you can. Bluebeat is relatively unknown among mainstream users; thus you’re sure to be able to access it. This makes it a great place to listen to your favorite songs while at work, as it is one of the best-unblocked music sites. It has a large library of music from the most popular genres. It’s available as a web app on all desktop operating systems. It also has a dedicated app for Android and iOS. One major drawback of the service is that it requires Adobe FlashPlayer to listen to any song. Not to mention that you still need to create an account. No subscription. 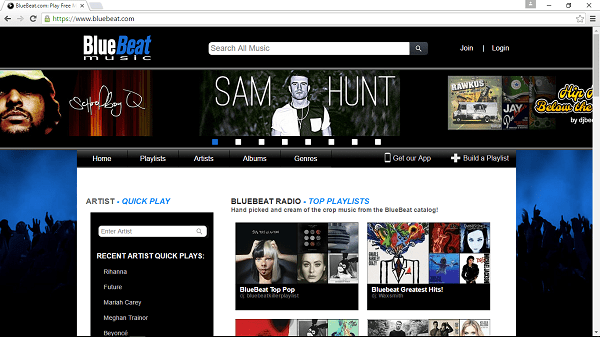 BlueBeat offers free music at no additional cost, but you have to endure some ads. TV widget. BlueBleat will also a release an app for your Smart TV. The widget will be able to stream the entire BlueBeat library on a TV. Unlike other unblocked music sites features on this list, TuneIn Radio doesn’t really have a music library of its own. Instead, TuneIn Radio allows you to listen to a variety of radio stations that have online streaming. You can listen to radio stations in your area, or listen to a station halfway across the world. 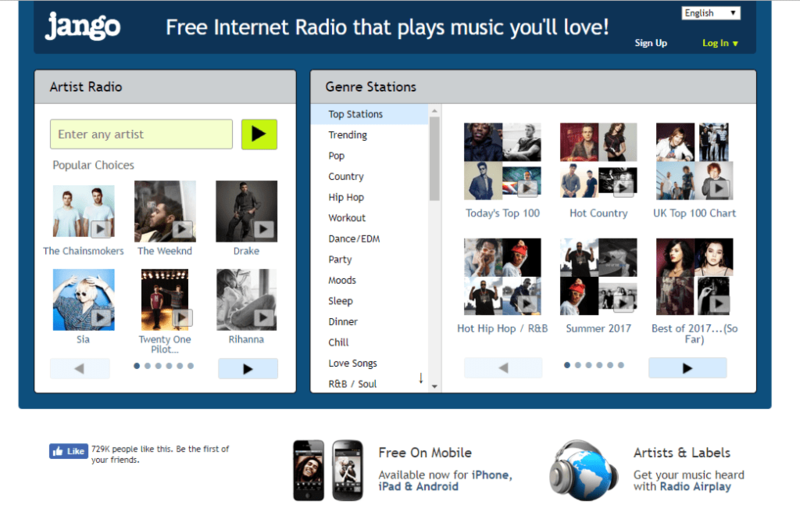 TuneIn Radio is a free music website. However, they also offer the possibility of signing up for a premium account. The Premium account offers access to a lot more content, plus the possibility to record your favorite shows or tunes, live NFL and NBA games and more. However, if you are just interested in good, entertaining unblocked music sites, the free account will do just fine. A wide selection of radio stations. TuneIn Radio gives you access to over 100.000 radio stations for free. Podcasts. Apart from radio stations, TuneIn also features podcasts. There are 4 million podcasts available for free. The podcasts are organized by subject, from sports to news, to music genres and history. Recorded radio shows. If you missed a football game or a show you liked, you’ll almost certainly find it on TuneIn Radio. 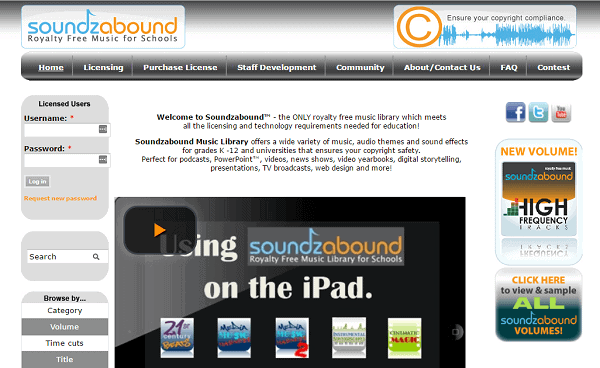 SoundzAbound is the only royalty-free platform created for schools. Apart from listening and downloading tracks, the website has an option for artist submissions, so up-and-coming musicians can easily contribute to the online music library. However, the download option requires a [G51] paid subscription, as stated in the site’s FAQ section. Additionally, students can create and upload personal projects and use the free royalty music available on the site in their media productions. As far as unblocked music sites go, SoundzAbound is worth checking out, not just for the sake of entertainment, but for work as well. Upload content. Users have a special section entitled Artist Submission where they can upload original content. Students can also contribute and share their work in the Student Productions Section. Subscription needed. For $99, users can purchase a license for various volumes. They can be used to score personal videos, games and other media projects. Available licensing plans for educators. There are various plans that schools can purchase and use internally for educational purposes. Playlist Sound is the most intuitive and easy-to-use unblocked music platform, created to satisfy all your musical needs. 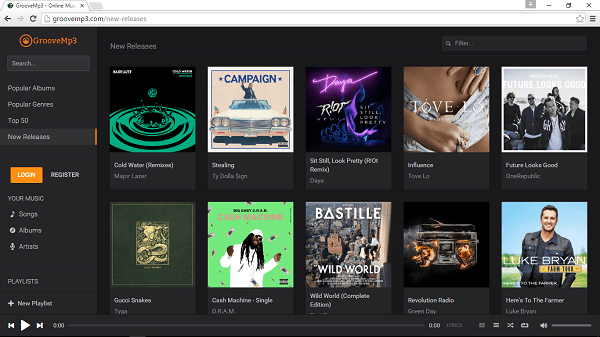 With sections for Popular Albums, Popular Genres, New Releases and Top 50, the platform offers a great browsing experience. Completely free and accessible, Playlist Sound enables users to listen to their all-time favorite artists and discover new talent. The only minor downside is that the occasional ads will pop-up from time to time. Video window included. Music lovers who enjoy the art of music videos will certainly love the fact that the track’s video is displayed in the right corner of the screen. Login option available. Although you can listen to the music streaming on this site without any registration, the login option is available for people who want to curate their own playlists. Customized Experience. Users can save, bookmark, share and add songs to their playlists, making their experience more enjoyable. Song Area is very similar to Playlist Sound; this clean, intuitive platform features new releases, top albums and top 50 tracks, all available for free. The video is also displayed in the right corner of the page via YouTube, making it a great unblocked music site for those who want to watch the video at the same time. Tracks and albums are available and users can create an account without any charges or fees. New Releases. Song Area features the latest releases, easy to access and browse through. Even the new releases of 2017 are available on the site. Free Account. Users can enjoy and explore the online music library without any charge, even if they choose to register or not. Extensive music collection. Song Area contains an extensive music collection covering all genres and you can enjoy it all for free. Hulk Share is the ideal place for music lovers who want to explore new talent, share their passion with other users and discover artist from all over the world. The unblocked music site offers playlists, groups, and discussions where users can come across underground or up-and-coming artists. The most impressive aspect of Hulk Share is that it includes tags for an impressive number of genres and subgenres. This makes it the perfect place for niche and underground music lovers. You can browse through categories such as Horrorcore, Ska, Italo-Disco, Thug Rap, UK Garage and a lot more. Impressive Subgenres Available. The genres and sub-genres you can explore on Hulk Share are endless and even the pickiest music lovers will find something for them. Free access. Hulk Share is accessible without subscription and users can search for and explore tracks without having an account. User interaction through groups. Users can share original music, upload content and discuss with like-minded people in groups dedicated to all types of music. AccuRadio is an unblocked music site with tons of options for ready-made music playlists sorted by genre or decade. What really makes AccuRadio stand out as a music website for work or school, however, is their Workplace Moods selection. This category features song playlists that are perfectly optimized to get you going for a busy day at work or keep you cool during a stressful day. No paid subscription required. You get access to all AccuRadio music playlists for free. You can subscribe to the website, to save custom playlists and get better recommendations in the future. But AccuRadio free is pretty much all you need if you just want an unblocked music site for work or school. Discover new music. The AccuRadio site features a small button captioned “Surprise Me!”. It might not look like much, but given how vast the AccuRadio music library is, you’re bound to discover something you’ve never even heard about. Workplace Moods. The Workplace Moods playlists have something for anyone. The selections are perfect, and you can further customize them to your tastes. NiceCream is an increasingly popular free music site that offers a cool variety of music. They might not have as many channels as other unblocked music websites, but the ones they do are perfect for work. NiceCream.fm features music for lesser-known artists, with a jazzy, lounge vibe. If you like trip-hop, funk or jazz, NiceCream is the perfect place to discover new artists. It’s also a cool website to leave playing in the background while you entertain guests at your place since the music is very laidback and non-intrusive. Perfect chill out music. NiceCream.fm is a great unblocked music site for those who want to listen to background music while working. The songs they feature can be more upbeat, but they’re never too aggressive, and they’ll never distract you from your work. Discover new artists. NiceCream tends to focus on artists that are not very well-known, or older, groovy songs you may have forgotten about. At any rate, you’re sure to stumble upon something you’ll love. Retro visuals. What’s pretty cool about NiceCream is that they have a very retro vibe, right down to the visuals. The NiceCream.fm website features vintage-looking photos as the music plays. And there just something about these images that give you an incredibly positive vibe. Radio.com is similar to another site mentioned on our unblocked music websites lists. This site gives you access to radio stations in your area. These free radio stations are sorted according to the music they play. You can also browse through a selection of podcasts, or find a radio station that is currently presenting the news. It’s a great source of inspiration when you just can’t think of any songs you’d want to listen. Plus, you can stay up to date with current events, or sports news. Free account. Radio.com is free to use. You do not have to sign up for an account to access the stations. And you can browse to your heart’s content without having to pay. Minimations. Radio.com has a special section dedicated to interviews. That’s not very exciting in itself. What’s great about these interviews is that they are animated. If you have a couple of minutes to spare, you can watch a really cute and well-done interpretation of what it was like in the studio during the interview. This makes Radio.com more than just one of the best-unblocked music sites. Radio.com Interviews. Apart from offering access to thousands of radio stations online, Radio.com produces its own original content as well. They have interviews featuring stars such as Lorde, Chris Martin from Coldplay or Phil Collins. We definitely recommend checking it out. Jango.com is a relatively straightforward free music website. If you are interested in an unblocked music website that’s easy to navigate, Jango is a good bet. Their music stations feature mostly popular music, so you’re sure to find all your favorites here, without having to dig too much. You can also customize your listening experience, by creating a favorites list, or ban certain songs so they don’t come up in the playlist. They also have a useful music history section, that allows you to view songs you’ve previously listened to. User-friendly interface. As mentioned, this one of the aspects in which Jango truly shines. 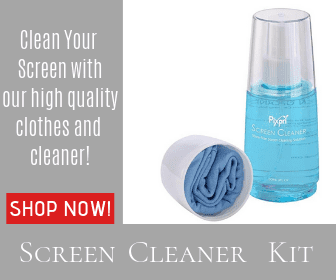 The website is incredibly easy to use and navigate. 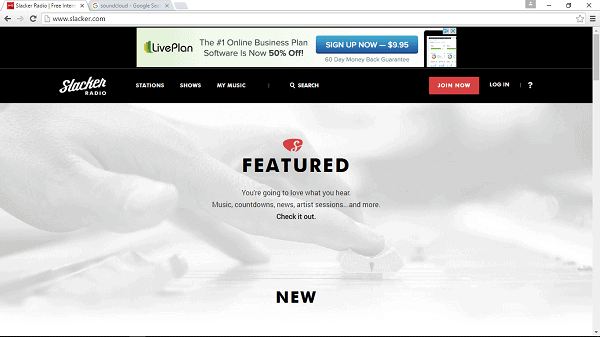 It’s perfect as an unblocked music website for school, where you don’t really have time to browse around for music. Playlist Customization. Jango allows you to create simple custom playlists, and customize the random music stations. A very useful feature, especially when you are tired of certain songs, and just can’t stand to hear them anymore, no matter how much you like them. No subscription required. Jango is a free music website. You don’t need to subscribe to access its music library. It’s true that they feature ads on their website. However, you’ll only have to endure a single audio ad per day. It’s quite a bargain. MusixHub holds a vast library of music albums you can browse through, based on the title, genre or artist. They claim to have millions of songs on their website, and quite frankly, it’s probably true. The only downside of MusixHub is that the website seems a bit cluttered and difficult to navigate. But that’s to be expected, given how much content there is on the website. Free MusixHub Account. You can listen to music free on MusixHub. However, if you want to create playlists and save favorite songs and artists, you need to create an account. Luckily, a MusixHub account is free to create and very easy to set up. And once you have an account, customizing your listening experience is going to be a breeze. Vast Music Library. With so many songs to choose from, we just had to include it on our list of unblocked music sites. You can find hours and hours of songs on this website. Music Videos. MusixHub is more than just an unblocked music site. In addition to popular artist and albums, MusixHub also features videos. If you can take the time to watch a video, MusixHub will likely have what you need. 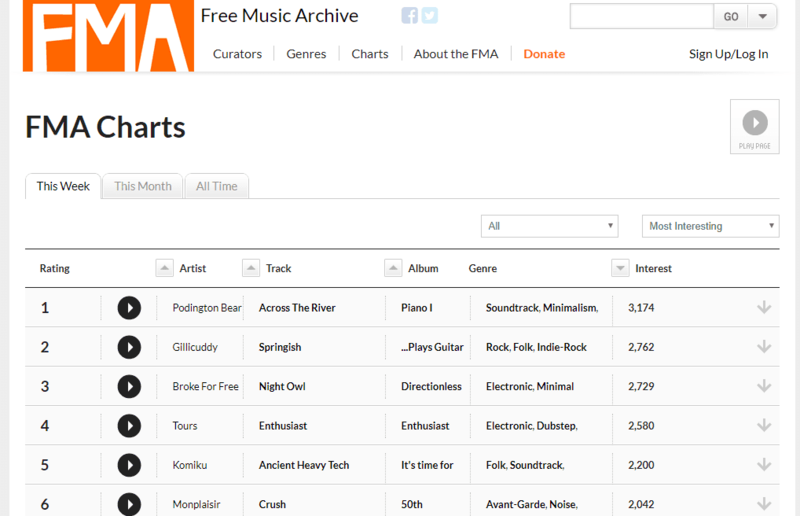 Free Music Archive is a different kind of free music website. They don’t really feature popular songs or well-known hits. Instead, they offer royalty free music from all sorts of lesser-known artists in a variety of genres. It’s an incredibly fun website if you’re looking to discover new musicians in the genres you enjoy or discover new music might not have considered. The playlists are curated by a group of dedicated DJs who purposefully avoid popular music, so listeners can find hidden musical gems and underground or relatively unknown artist can gain an audience. Since the site is so small, it’s surely going to be on the list of unblocked music sites. Unique Music. There’s a lot of music feature on Free Archive Music you’ll probably never find anywhere else. It’s a great place to discover artists and songs. Royalty Free Music. If you ever need music for a personal project, you can find the perfect soundtrack on the Free Music Archive. They feature a lot of royalty free music, which you can reuse for free. With such a large library of relatively unknown songs, you’re sure to find something to suit your needs. Entirely Free. You don’t need to pay for anything, and you don’t even have to create an account to listen to music on Free Archive Music. Everything is free. However, you can donate to the website curators, to show your appreciation, if you want to do so. Radioooo is a music sharing website perfect for those who are tired of listening to the same music over and over again. What’s novel about Radioooo is the way in which music is sorted. You can pick a country from the map and a time period, and you’ll get to listen to some very surprising tunes. While not all country/time period combinations are filled, you’ll find a pretty large playlist for most. You also have the option of picking the type of songs you want to listen to, using the buttons on top. The options are ‘Slow’, ‘Fast’ and ‘Weird’. You can select just one option, or combine two of them. It is most likely on the list of unblocked music sites in most schools and colleges, as it is relatively unknown. Free. Radioooo is free to use. There’s no subscription required, and there are no annoying ads to deal with. A fascinating array of music. The way in which the site is designed allows you to discover music you might not have considered otherwise. The music library is constantly growing. Radioooo users are encouraged to add new tunes to the already impressive music library. As such, the Radioooo library is constantly growing with new and fascinating songs from all around the world. All the unblocked music sites mentioned have something that makes them special. Some unblocked music sites, like GrooveMP3, PureVolume and SoundCloud are impressive simply for the massive library of music they have. NiceCream, on the other hand, focuses more on a clear set of genres. However, the selection is simply fantastic. And websites like Radio.com or TuneIn have more variety when it comes to the type of content you can listen to. These are just some of the free and unblocked music sites out there in the world wide web. If you found some unblocked music download sites no on the list then go ahead and give them a try. All and all, there’s something for everyone, and you’re sure to find the theme song of your workday or a schoolday in college on one of these stations. Thank you for letting us know. As music websites gain popularity, it’s likely institutions will start blocking them. However, this means some websites may still work for some. Do you have any recommendations? Yeah! about 3 of these are not blocked and their the SAME LINK! I only found one link that actually works. any other unblocked link mentioned on this website doesn’t work properly, they are too slow to use. We will do our best do update this article as often as possible, to provide you with as many options as we can. Ultimately, it is up to your institution to decide which sites it blocks and which it doesn’t.